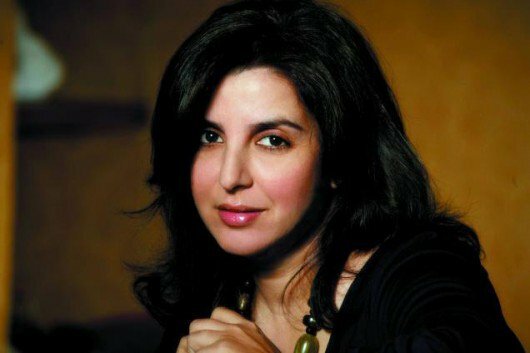 Farah Khan is one of the top film directors in Bollywood at present, who has given some phenomenal hits during her career as a director. Earlier, she was a leading choreographer in the industry, who had directed a number of hit songs. Income Sources: Farah Khan started off as a film choreographer, which was her main source of income. Later, she made a good deal of money from her directorial ventures. She also appeared as a judge in some television reality shows. She has also acted in a film called “Shirin Farhad ki to Nikal Padi”. Marital Status: Married to editor, Shrish Kunder since 2004. She gave birth to triplets, a son, Czar and two daughters, Anya and Diva, in 2008. Farah Khan was born in Mumbai and was fond of dancing right from her childhood, which led her to pursue it as her profession. She never had any formal training in dancing, but her passion and dedication took her to the top of her profession. Her brother, Sajid Khan is a noted comedian and now, a successful director. She is also related to Farhan Akhtar and Zoya Akhtar, who are her first cousins. She fell in love with the film editor Shirish Kunder during the making of “Main Hoon Na” and the couple got married at the completion of the movie. Farah started her career as a choreographer and she had his own dance troupe. Her first movie as a choreographer was “Jo Jeeta Wohi Sikandar” (1992) and there was no looking back for her after that, as she became one of the most sought after choreographers in the industry through the nineties. She broke the dominance of the ace choreographer, Saroj Khan and went on to win a number of awards in choreography, on national as well as international level. She was the choreographer of the legendary movie “Dilwale Dulhaniya Le Jayenge”, among many other acclaimed ones. She had choreographed over a hundred songs in nearly 80 movies. Despite achieving great success as a choreographer, Farah always wanted to become a director. Her dream transformed into reality with “Main Hoon Na”, which was completed with the help of her close friend, Shahrukh Khan, who produced as well as acted in the movie. The film became a huge hit and then came her next success, “Om Shanti om”, which was also the career debut of Deepika Padukone. Her latest movie, “Happy New Year” (2014), in which she repeated her lead actors Shahrukh Khan and Deepika Padukone, was another big hit. Besides her Indian movies, Farah has also done choreography in some international projects like “Monsoon Wedding” and “Vanity Fair”. Farah ahs judged some reality shows such as Indian Idol, Dance Indian Dance, Entertainment Ke Liye Kuch Bhi Karega, Nach Balliye, Jhalak Dikkhla Jaa and Jo Jeeta Wohi Super Star. Farah Khan owns a luxurious four bedroom apartment in Juhu, where she resides with her family. She loves luxury cars, but the most dear to him is a Mercedes SUV, which was gifted to her by her best friend, Shahrukh Khan.